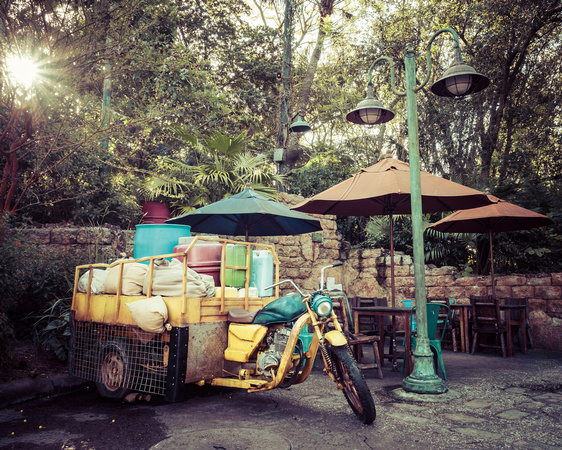 When you are all set on the attractions you want to ride, the extra magic hour in the morning allows for uninterrupted exploring around the Animal Kingdom. While everyone else was racing to Flight of the Avatar or Expedition Everest, I was looking at the details created for Harambe village. It was great to take my time and capture images without feeling like I was in the way of other guests. My images in this area always feel like I should process them with a vintage look… what do you think?